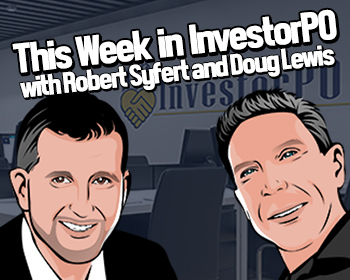 Each week, InvestorPO members are treated to a live webinar with CEO Robert Syfert and CTO Doug Lewis. We keep you up to date on news and changes at InvestorPO, plus answer questions directly from members! Don’t have time to sit and join us? No problem! We know real estate investors are busy people, so we’ve created this audio-only version for you to enjoy at your convenience. InvestorPO is a CRM built specifically for real estate investors. Want to ask questions or learn more about InvestorPO? In this episode we talk about the latest additions to IPO, included the first sneak preview of our V2 interface. Along with a discussion on the current items in development and we answered live questions from our members. In this episode we talked about the latest updates to IPO, including the addition of a Buyers Live Answer Form, the updates to address load time issues with the Campaign Reports, and the Beta release of the InvestorPO API and Zapier support. Plus, we discussed items currently in development and answer members questions. In this episode we talk about the latest updates to IPO, including the addition of Recent Message History to the IPO members panel and chrome browser extension. Along with a discussion on the current items in development and we answered live questions from our members. In this episode we talk about the latest additions to IPO. Along with a discussion on the current items in development and we answered live questions from our members. In this episode we talk about integrating IPO with Mojo Dialer, true email integration and give a overview. Along with a discussion on the current items in development and we answered live questions from our members. In this episode we talk about the latest updates to IPO, including the updated cheatsheets and back end enhancements. Along with a discussion on the current items in development and we answered live questions from our members. In this episode we talk about the latest updates to IPO, including the free on boarding call for all members, the two free integrations with all packages and the ability to manage expenses/seller agreement email in the InvestorPO panel. Along with a discussion on the current items in development and we answered questions from the audience. In this episode we talk about the latest updates to IPO, including the custom Chrome browser extension, the ability to sort columns in logs, the additional syncing code for Podio redundancy, and the new SMS and Email Pass-through feature. Along with a discussion on the current items in development and we answered questions from the audience.